So your traffic is building nicely and users are streaming to your site. Visitor numbers are rising daily as your hard work on online marketing pays off. Trouble is, you’re not making as many sales as you’d like. Your visitors spend time on your site, choose items to buy, but once they reach the checkout they hesitate… and finally disappear. You’re far from alone with this problem. 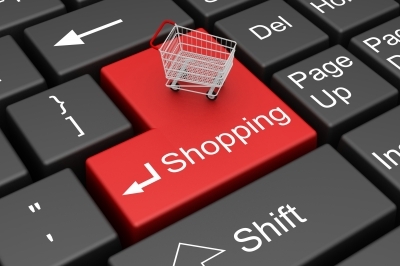 Statistics reveal that almost 70% of all online purchases are abandoned at the shopping cart. Worse still, most visitors will never return after abandoning their carts. Unless they’re already on your email list, you’ve probably lost them forever. It’s annoying as you’ve invested time and money in PPC, SEO, and content development to see it all wasted at the last moment. So why does it happen and what can you do about it? A survey carried out by Statista in 2012 revealed that 56% of respondents cited being presented with unexpected costs at checkout as the reason for not completing their purchase. In particular, users complained of being hit by excessive shipping costs. Calculating delivery charges can be a complex task with many variables. But clearly buyers are demanding vendors be totally upfront when it comes to revealing the numbers. Essentially, it’s a matter of communication. Your content must inform your customer exactly what they’re getting and how much they’re paying for it. Any deviation from that will result in confusion, mistrust, lost sales, and lost customers. Slipping in extra charges at the last moment also casts doubts on the integrity of the vendor. Having the costs hidden away somewhere in small print is not good policy. Firstly, you need to be totally upfront everywhere on your site about all the charges your customer will have to pay. It’s also been proven that when it comes to online marketing, offering free shipping is the one of the greatest incentives to purchase. Try to find a way to offer it by absorbing the costs elsewhere. Other options include a shopping cart abandonment script or email follow-ups. The former pop up a message box if the user tries to leave. It can offer a discount, free shipping, or some other incentive to take action now. Ask your Sydney ecommerce website design experts for more information. The latter sends an email to the user asking if they need help with their order. Of course, they need to have entered their email first. Another key tactic is to create a highly effective checkout page but that’s something for next week’s post. Dealing with shopping cart abandonment problems is vital for online marketing businesses. A small reduction in abandonment can lead to major increases in revenue. Moreover, you’ll gain a loyal customer who’ll spread the word among friends and on social platforms.